NEW YORK, NY--(Marketwired - June 29, 2016) - Innovid, the world's leading video marketing platform for advertisers to create, deliver and measure video experiences across devices, today announced that John Piccone has been appointed chief growth officer to help drive revenue and strategic business development, building on the company's recent 100 percent year-over-year business growth. Piccone joins Innovid from the marketing technology company, Simulmedia, Inc., where he held several leadership positions over the course of six years, including chief revenue officer and later chief strategy officer. "Marketers are shifting toward all things video and data is the key to making video creative resonate with consumers," said Beth-Ann Eason, president at Innovid. "John's deep experience in data-driven TV advertising will enable him to help marketers transition and capitalize on digital video, particularly as OTT adoption accelerates." Piccone is a pioneer in digital, coming to Innovid with more than 12 years of experience in the digital TV advertising industry. While at Simulmedia, he was instrumental in driving rapid growth of the business and helped to secure several new strategic accounts, dramatically expanding the company's portfolio of business. Prior to Simulmedia, Piccone served as SVP of business development and sales strategy at HealthiNation. 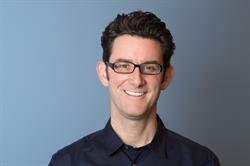 Piccone also previously held the position of VP of sales at Blackarrow, a pioneering advanced TV ad targeting company. The first ten years of Piccone's career were spent at 24/7 Real Media where he held several senior positions in international sales and business development for Europe. "Video has the power to connect brands with consumers on an emotional level, and Innovid's ability to deliver video to audiences at scale while also providing marketers with advanced analytics to accurately measure business outcomes is an exciting market differentiator," said John Piccone, chief growth officer at Innovid. "I'm honored to join Innovid's visionary team as they continue to invest in product development, building the most effective video marketing platform solution for marketers to reach and engage consumers on every device." Innovid's media-neutral video marketing platform has grown over 400 percent year-over-year, adding brands such as Citi, Kraft, L'Oréal, Microsoft, and Walmart to its roster of clients and partnering with media giants like Facebook and Snapchat. Additionally, Innovid has tripled its employee roster globally, with over 200 people across the U.S., Asia-Pacific and Europe. For more information, please visit www.innovid.com. Innovid is the world's leading video marketing platform, empowering advertisers to create, deliver and measure the most innovative video experiences on any device and media outlet, while increasing scale, efficacy and ROI. Innovid has won several awards including Inc. Magazine's Top 50 Best Places To Work (2016), Best Places to Work in Los Angeles (2016), Stevie Award for Tech Innovation (2016) SmartCEO Future 50 (2016), AdAge Best Places to Work (2015), Crain's Best Places To Work (2015), IAB Mixx Rising Stars (2015, 2014 & 2013), Digiday Video Awards (2014 & 2012), iMedia Connection ASPY Awards (2013), and Creative Media Awards (2013). The company is backed by investors Sequoia Capital, Genesis Partners, T-Venture, Vintage Investment Partners, Cisco Investments, and NewSpring Capital. Headquartered in New York City, Innovid also has offices in Los Angeles, San Francisco, Chicago, Detroit, London, Sydney, and Tel Aviv. For more information, please visit www.innovid.com.